Hi. My name is Duckee Momo. I’m a ridiculously handsome duck. Do you want to read what I wrote? Are you suuuure?……….Okay, I’ll show you! 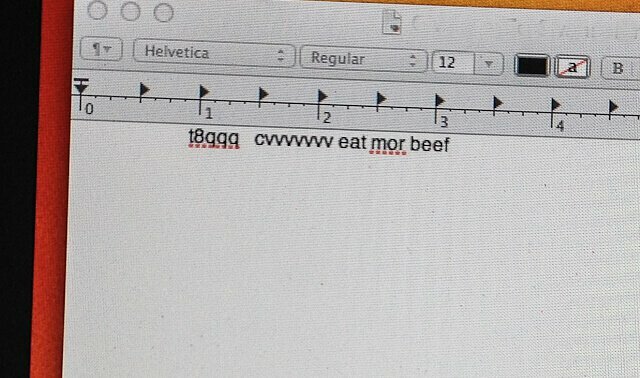 Oh yes, you read that right…..eat mor beef. Beef is yummy. Ducks are not. In addition to blogging, we can do other chores too, like picking kale from the garden. That’s my brother Scarface sitting down below. He has a scar on his head. I think he got in a fight with a baby chick with a sharp beak. We love our new family, but we aren’t so sure about the other 2 pets. I hear he’s eaten over $500 worth of remote controls. I don’t think I like him much. He’s got a big head. We need a bigger swimming pool. 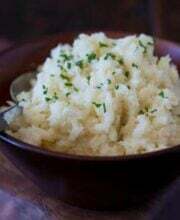 Hello every one, here every one is sharing such knowledge, therefore it’s good to read this blog, and I used to pay a quick visit this web site every day. 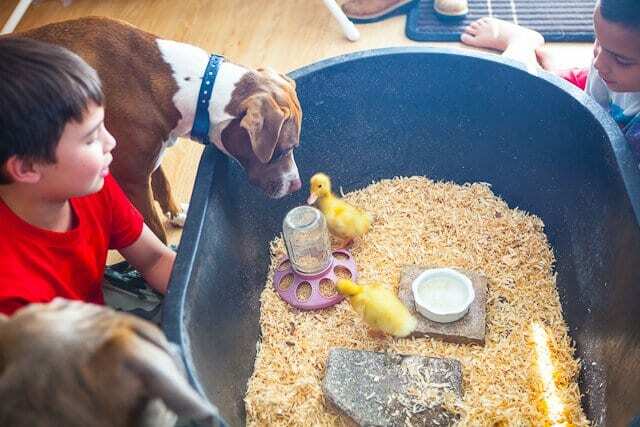 Andrew, how do you keep the dogs so well behaved around the ducks? So cuuuute! I love this duck! Oh Jaden, I was so happy to see that you have little ducks. They are the cutest things!! 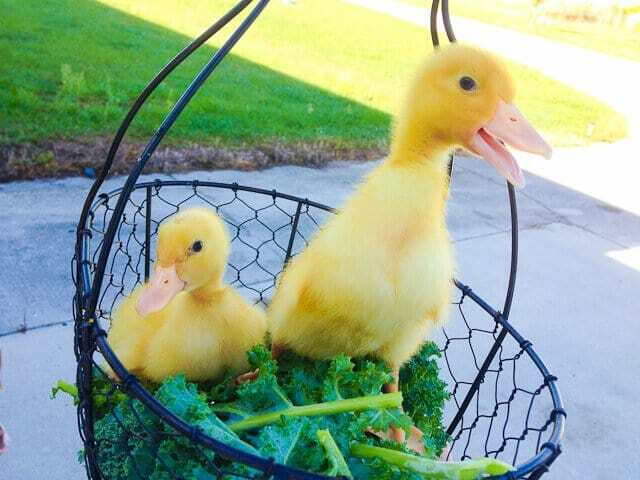 It reminds me of when I was a little girl growing up in Italy in 1970 and my grandparents had baby ducks too. I really miss them. Is it warm all year round where you live? 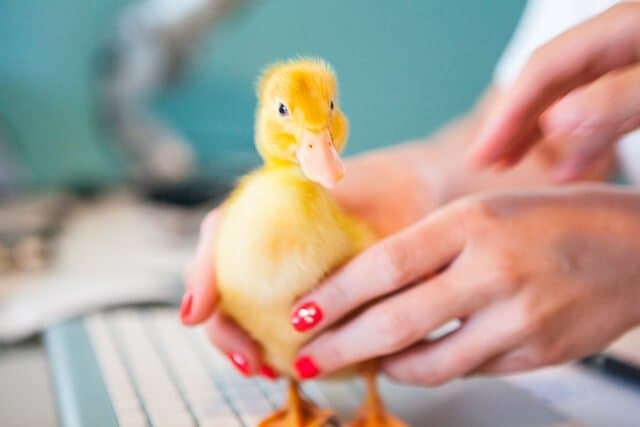 I love this post and your cute ducks too!! Thanks for the great ducklings! Please update this page as they grow! 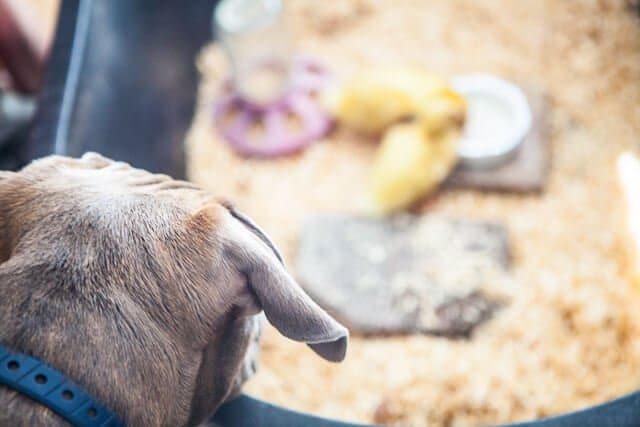 Pet ducks are very loyal and sweet! They also pop everywhere! Beautiful little guys. They’re popular in the Pacific NW because they eat slugs. Slugs are a real pest in that climate. They eat vegetation too. Mint farms in Oregon’s high desert use them to weed the fields. The ducks are a second crop for the mint farmers. 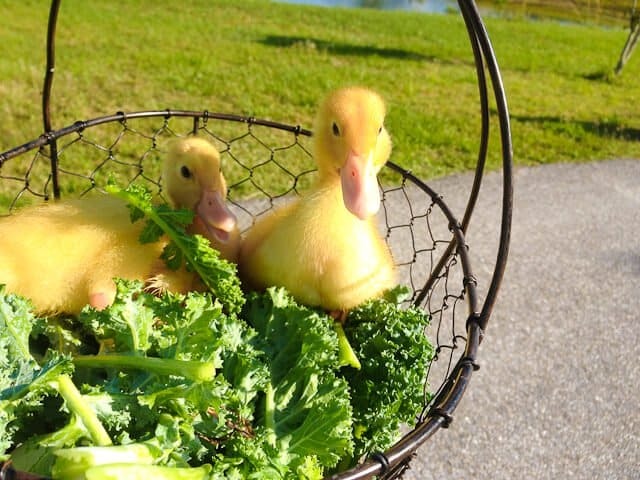 They don’t keep them on the job for too long because in the second year the ducks develop a taste for mint. Also, I’ve been told by old-timers that they’re good to have for a pond, their droppings help to seal the bottom. I’m in LOVE!! Too cute!! 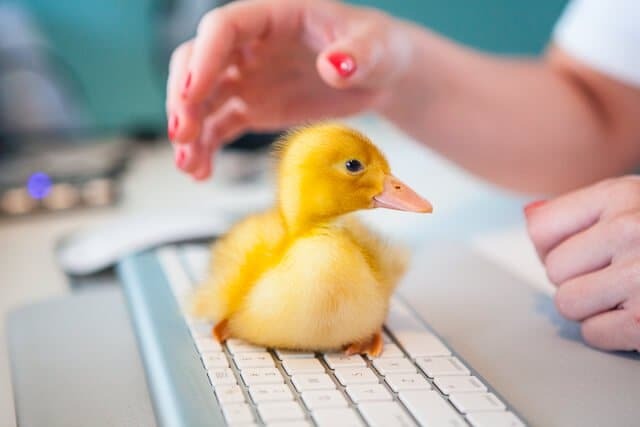 What a sweet, adorable ducky!!!! I was so afraid that when I scrolled down my email there was going to be a duck recipe……thank you for that. LOL! Your sons are so-ooooo fortunate to grow up with so many animals around them. Bless. 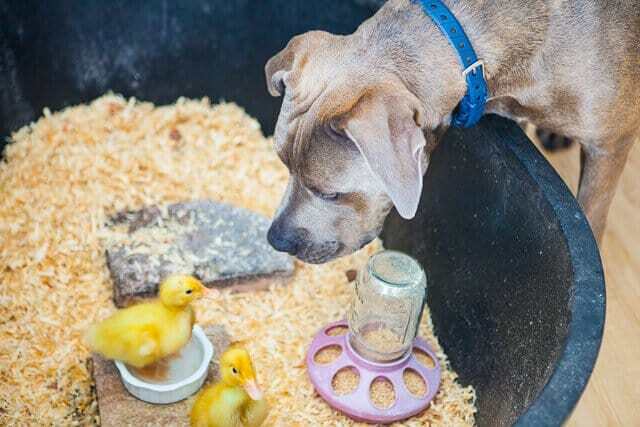 Love the ducks and dogs! Are you gonna post more happy pix as you carve him up for dinner? The only times I’ve previously ever read “Asian” and “duck” in the same sentence it was in a recipe. 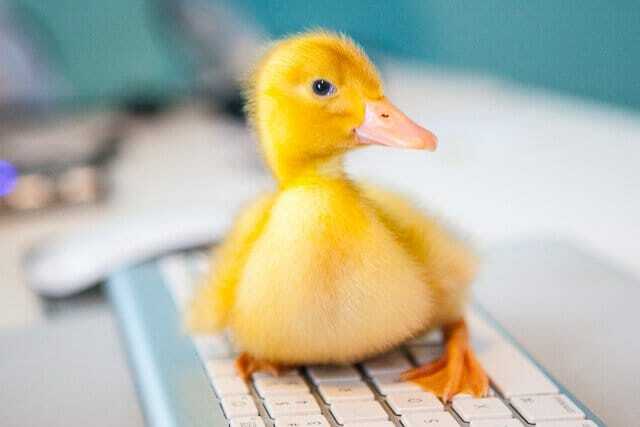 baby ducks are so cute thankyou for posting . it made my day. Ridiculously Handsome Duck Indeed! You is Smart…You is Handsome…You is a Lucky Duck! 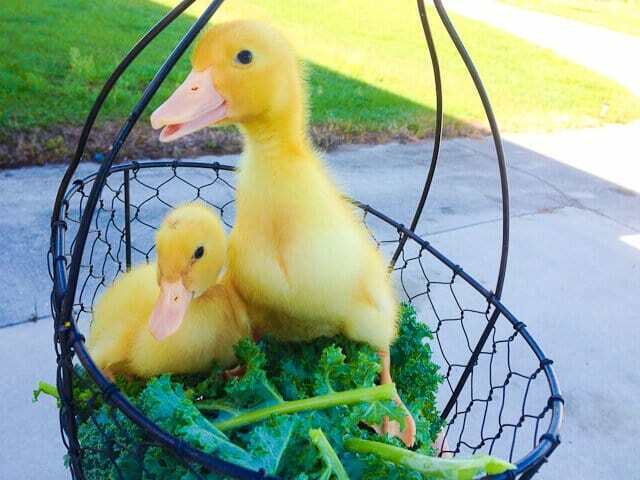 Oh my gosh…these ducklings are utterly precious!!! AMAZING photos by the way! Reminds me of when you brought the chicks home. I grew up with lots of animals (chickens, ducks, horses, pigeons, cats, dogs, etc.) and it was fantastic. Lots of baby chicks and ducks! Would love to have that again, but that might be just a tad difficult living in San Francisco! Maybe one day. Anyway, I’ve been meaning to email you (we met briefly at the Chronicle Books party, during the IACP Conference, while chatting with Eric Gower). I will do it now! This post was a good inspiration…and it made my day so see such a sweet yellow baby! Thanks! Now this has made my day! I have some neighborhood ducks laying eggs at our apartment building. I love going out every night like clock work at 6:30. They show up to get fed then go back to their nests. Ohhhhh…. They are so cute! Your boys will be busy for the next months taking cre of them. 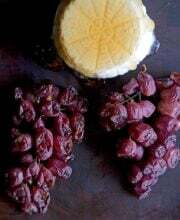 LOL – Duckee Momo – great name. I should have known you watched that show. Have you noticed that they rerun them late at night when the kiddles are fast asleep? Hmmm, now why would they do that? Very cute! 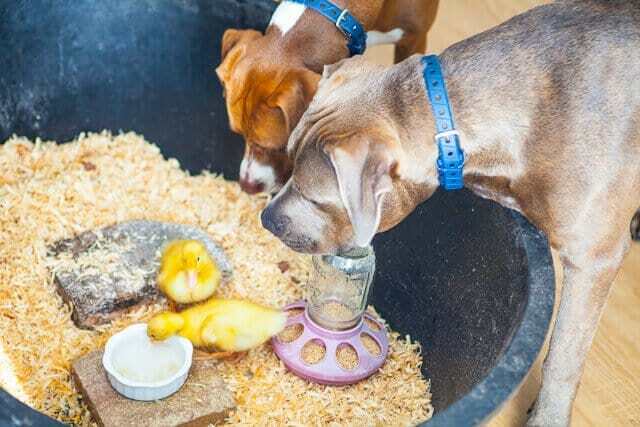 Wish we could have duckies too, but surely my dogs would eat them ! I have 4 chickens who I cannot wait to see when we return to Umbria in two weeks, but after seeing your sweet ducks, I want ducks too! Love the ducks, and the picture of your son with the dog watching the ducks is priceless! How incredibly cute they are. I raised 2 ducks when I lived in Arkansas and I loved it. Good luck. How sweet!! I love baby ducks!! Too cute. 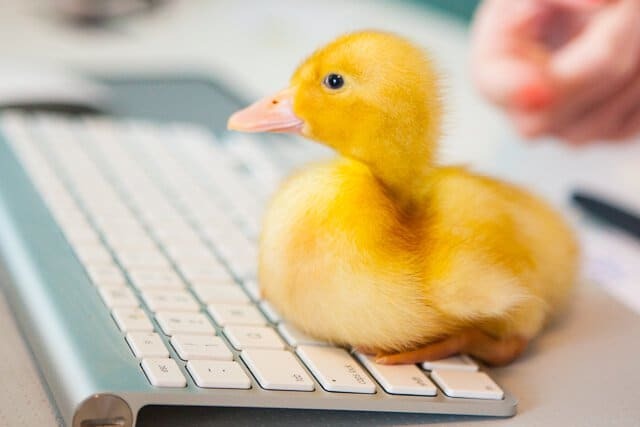 I want baby ducks on my keyboard, too! Awe, now I was a little cute duck, or two, to do chores with. You lucky duck you! 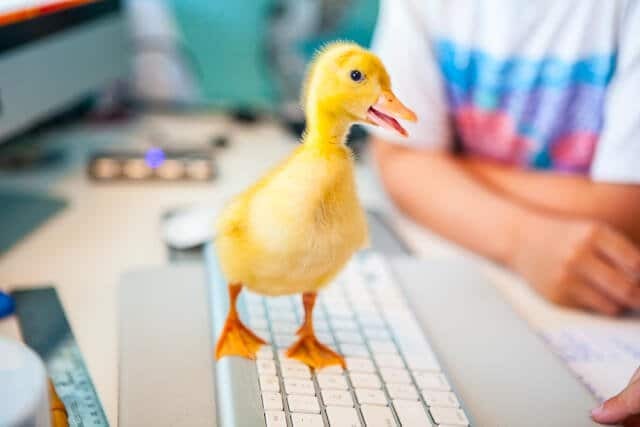 Oh,Duckee Momo is so cute and smart. Oh my word. Those ducks are seriously adorable! Love them! And I LOVE this post! ridiculously cute! 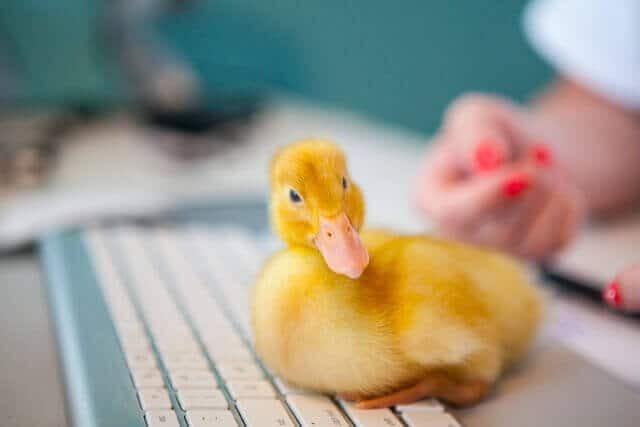 of course I couldn’t help but cringe a little at the same time questioning if the duck would do his business on your keyboard aaahh! OMG! Sooooooooooooo cute! 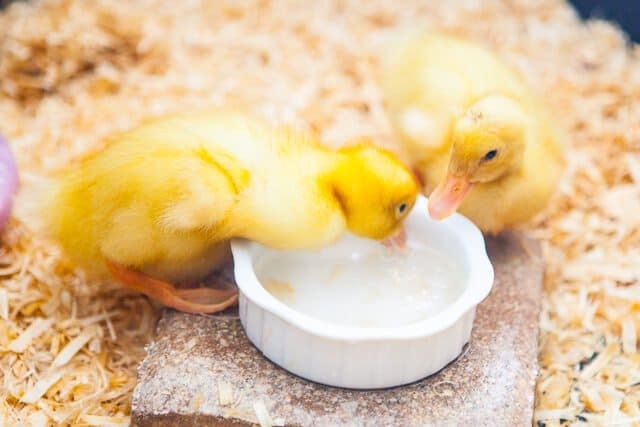 I remember one time, just about this time of year, I went into the farm store in the area and they had a trough of black baby ducklings. The were all asleep in a pile and their breathing had entrained… the entire pile was breathing together! So the pile expanded and contracted visibly with each breath. It was ALL I could do to walk away and not buy them all, I wanted them so badly. Thanks for the laugh. Great Pics. So cute though! What a great blogger friend you have. Will you be eating lots of duck eggs in a bit? So adorable I almost called them adorbs – but I caught myself. 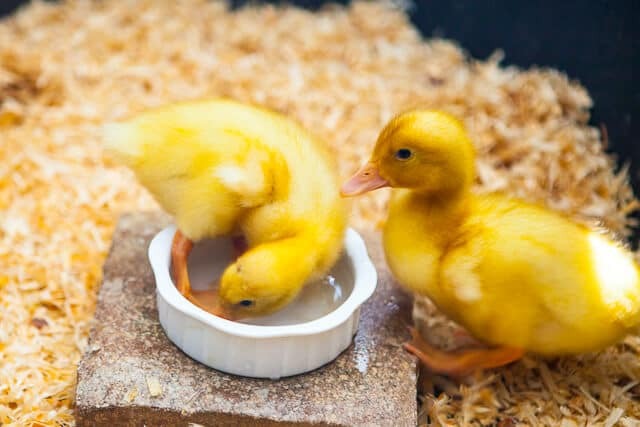 Seriously – the pics of them in the water dish are too cute! Awww! You made my day with all the cuteness. LOL. U are a great blogger duckee momo but don’t let Candice( Phineas and Ferb’s sister) hear about u.
I died reading this. So freakin Cute!! I’m totally dying over the cuteness!! I love the dogs too! Oh Jaden. They are just the cutest things on earth! How fun! You’ve got quite the farm going! Neat for your boys, for all of you! Ok that was incredibly cute!